Meike Skolnik coordinates SOMO’s communications team. She is responsible for SOMO’s communication strategy and corporate communications, and functions as a contact person for journalists. She ensures that SOMO’s research is being distributed as effectively as possible, offline and online. She works closely with SOMO researchers, networks and partners. 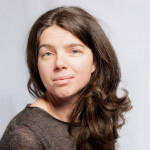 Before joining SOMO, Meike worked at several NGOs, including Amnesty International, Jantje Beton and Milieudefensie (Friends of the Earth Netherlands) as communications advisor, campaign strategist and coordinator. Meike holds a master in Social Psychology at the University of Groningen. In addition, she has completed coursework on various communications and social media topics.